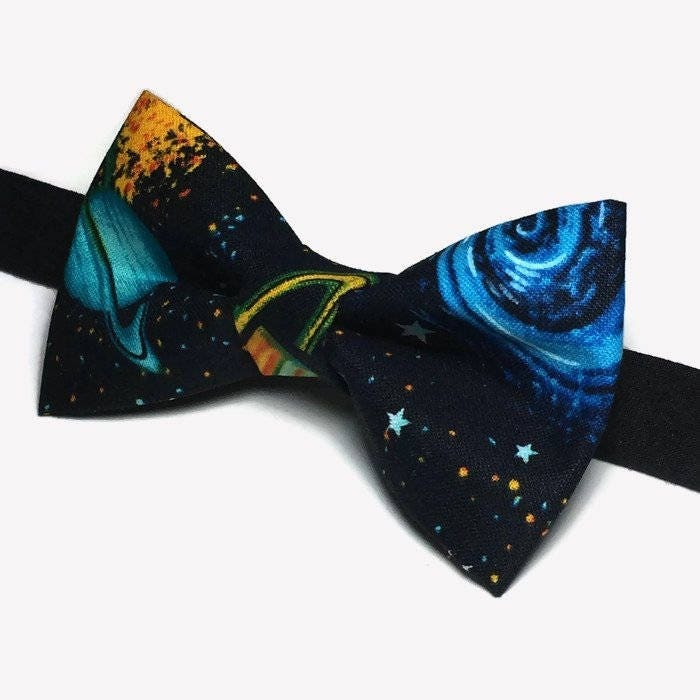 Show your love for the universe with this cute galaxy bow tie. 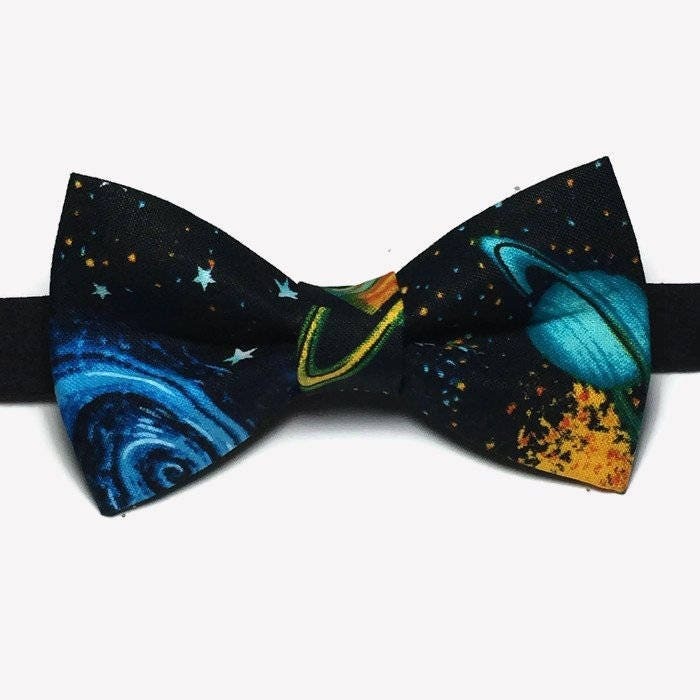 its is handmade on a cotton fabric with a black background and different colors on the planets and stars in our galaxy. thanks for the fast shipping!!! looks great! 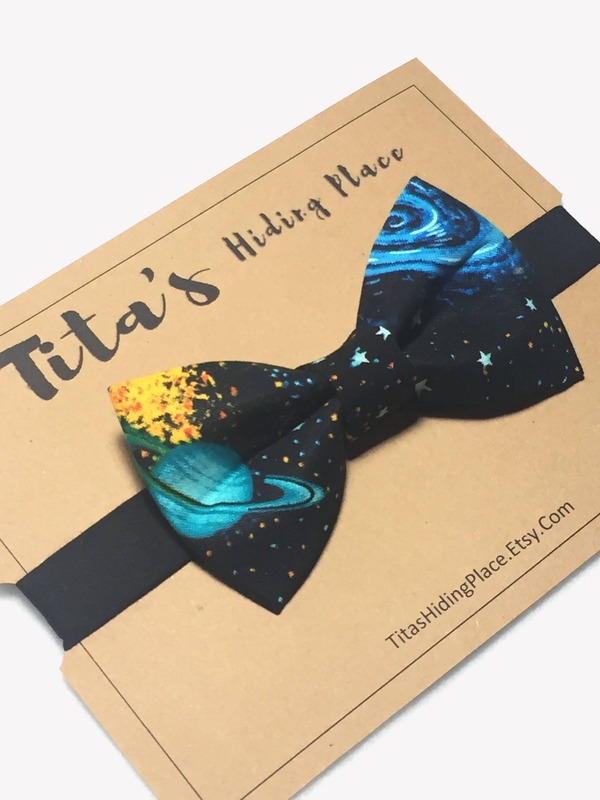 Exactly what I ordered, absolutely perfect, arrived quickly.